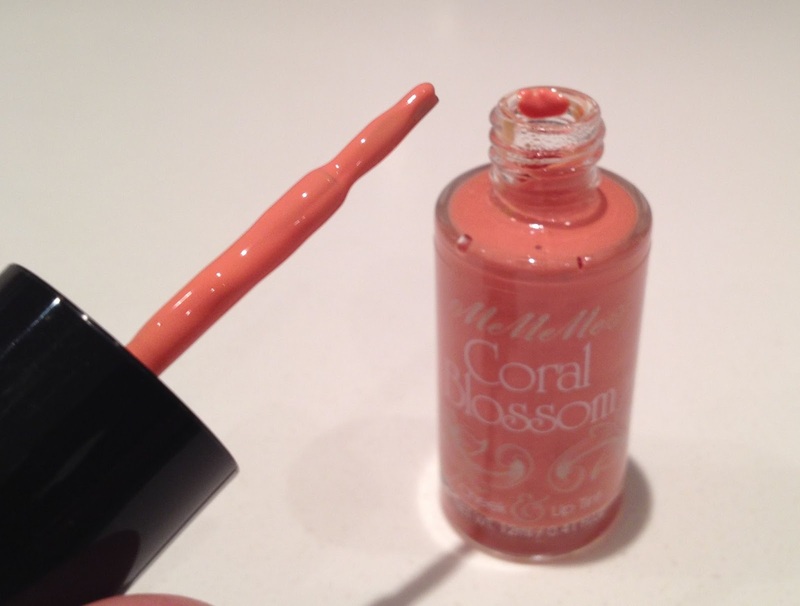 Coral Blossom comes in a small glass bottle with a screw-on lid which houses the applicator brush. I have to say that the only thing I didn't like about the product was the brush - it was quite scratchy rather than soft and in my bottle the end of the brush was all stuck together which made application harder. Once I'd sorted this out, I applied the tint to my lips and cheeks with a couple of strokes and blended it with my finger (or you could use a stipple brush on your cheeks). 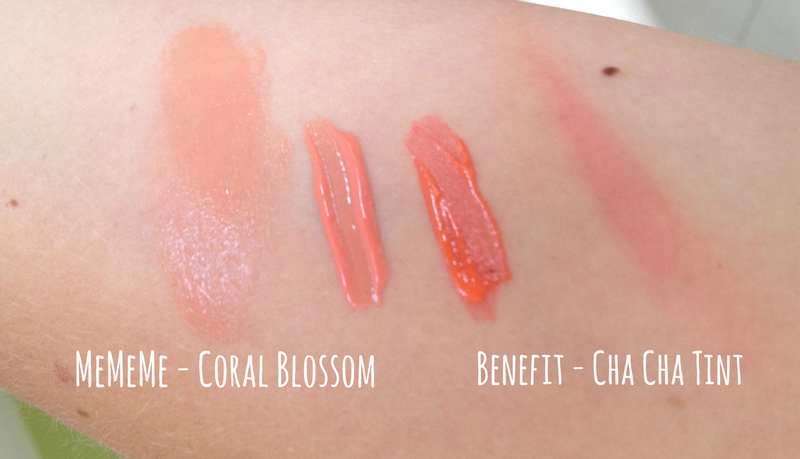 I really like the colour of Coral Blossom and it fits into my tint collection perfectly as an addition-to rather than a direct Benefit dupe. The stain is more subtle than the Benefit tints, which I like. I resist using my Benefit tints on my cheeks as I find that if I don't blend them the second they make contact with my skin then I end up with an obvious stripe for the rest of the day. Coral Blossom is more forgiving and easier to work with in that respect (the down side being that it needs to be reapplied more often). The Benefit tints have been around for a while, but at £24.50 they are really expensive, especially if you don't know whether you will actually like using them! 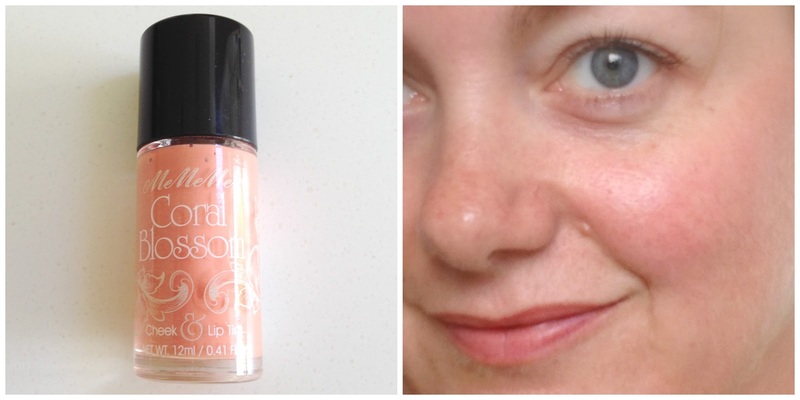 This is where the MeMeMe Cosmetics Coral Blossom really comes into play - at just £5.50 how can you resist giving it a go? 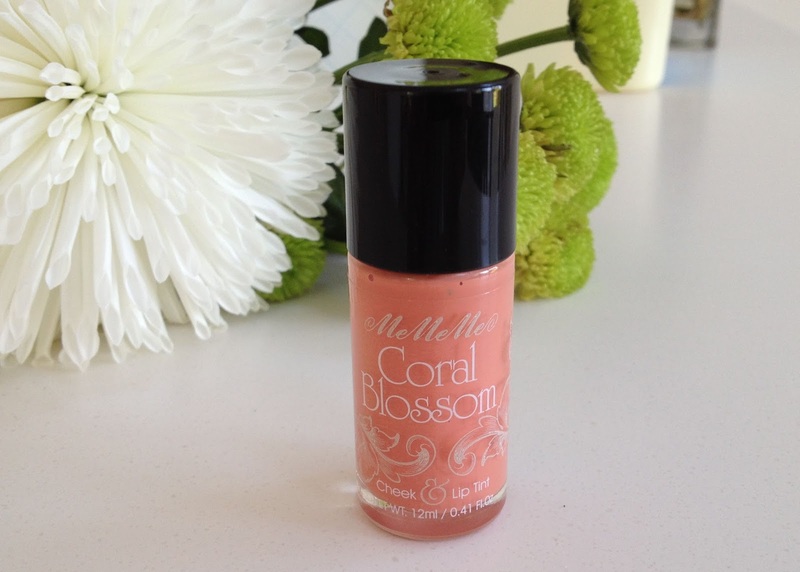 MeMeMe's Coral Blossom Lip and Cheek Tint is £5.50 for 12ml HERE. Plus if you use the code mememe15 you can get 15% of the whole MeMeMe range! Have you tried any MeMeMe Cosmetics products? Which ones do you recommend? *PR sample, although as always the review represents my own honest opinions.